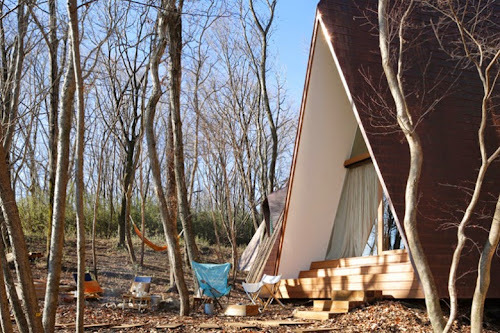 Japanese architect Hiroshi Nakamura and his studio NAP have designed a home that, at first glance, might look like an encampment of teepees, but is actually a unique woodland escape that is fun, functional, and perfect for an inhabitant who wants to be closer to nature. Located in the Tochigi Prefecture, the 156 square meter home was designed to make minimal impact on its surroundings, and aesthetically incorporates many elements of nature itself. 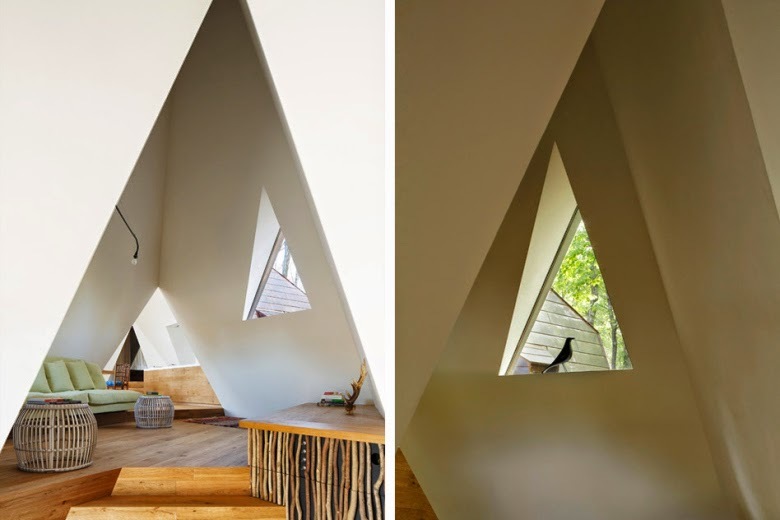 The slanted walls give way to a series of triangular windows, which invite in ample natural light. There is no need for heating and air-conditioning units, as warm air collects in the peaked ceilings and can then either be vented outside in the summertime or recirculated to ground level in the winter. 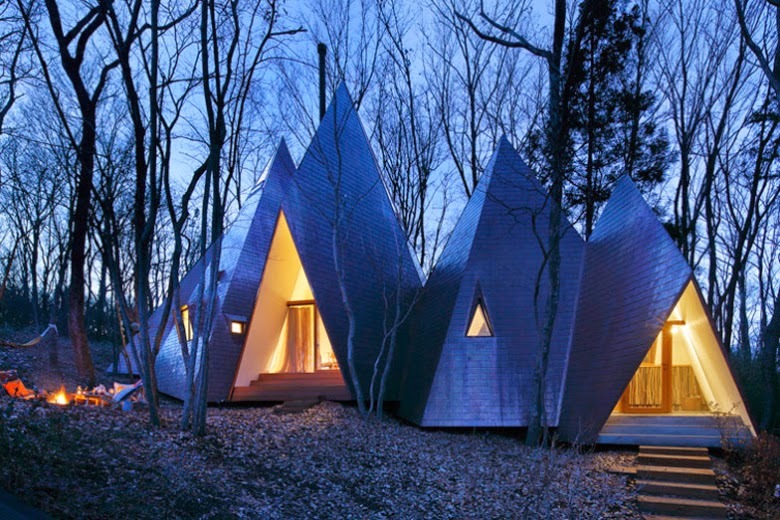 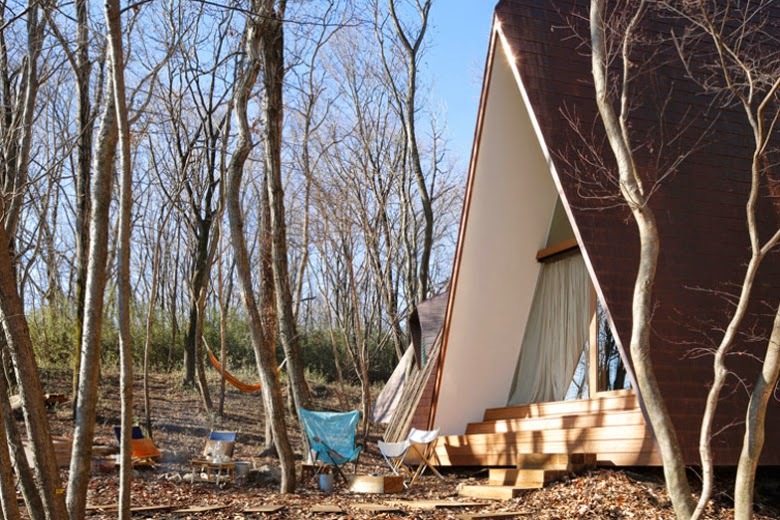 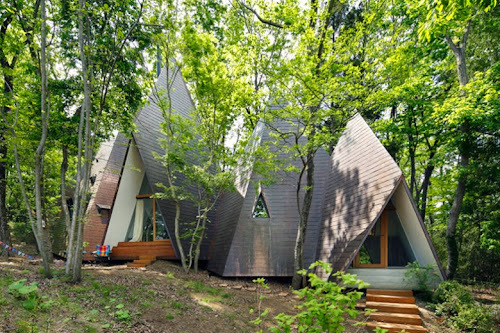 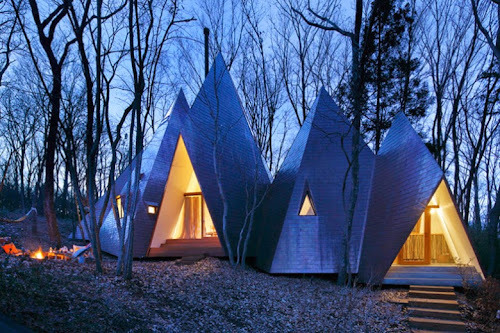 Enjoy some images of the Nasu Tepee by Hiroshi Nakamura and NAP Studio above.